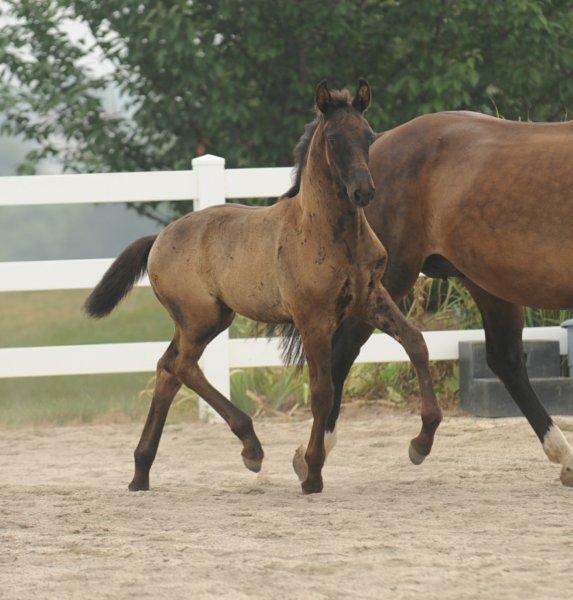 This filly has an uphill neck set which allows her to lift off the ground from the first steps. 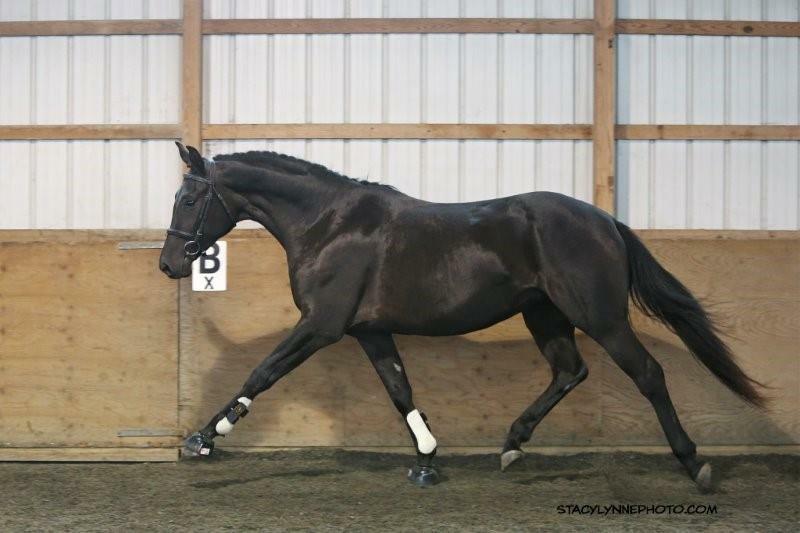 Her trot is suspended, her canter stride is big and she is very dark brown! 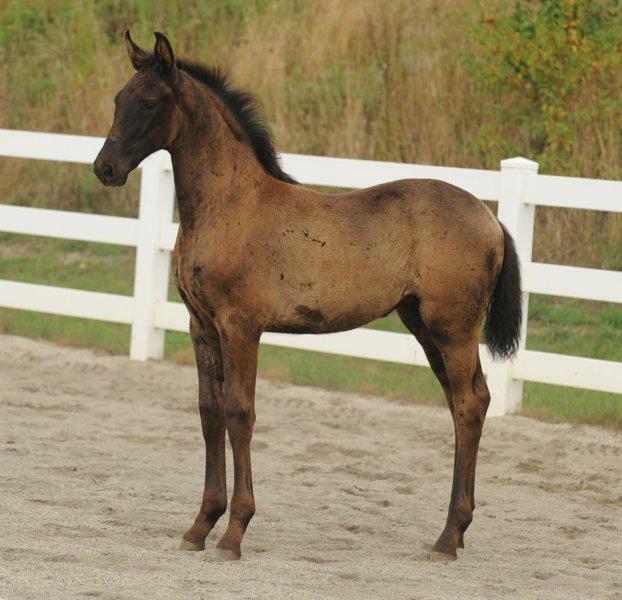 Wow is all I can say about this beautiful big filly. Super shoulder and correct legs. Here she is in a normal working session in Dec. 2016. 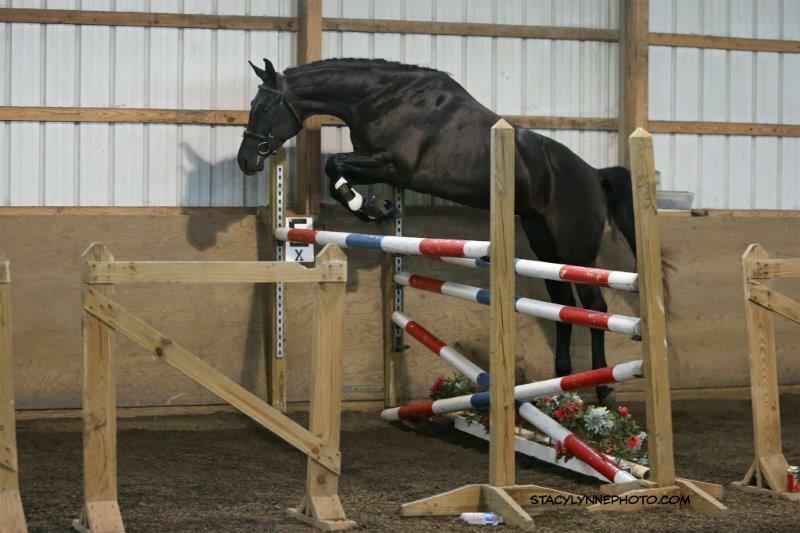 She is now schooling flying changes. Buy her now or regret it later. successful offspring. 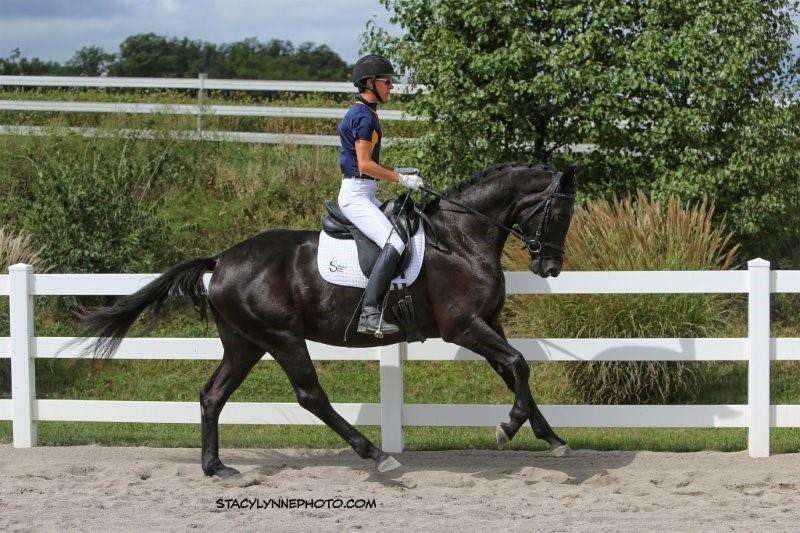 At Dressage at Stone Tavern II Dressage Breed Show August 31: Shtiletto placed 2nd in the 3 y.o. fillies class. 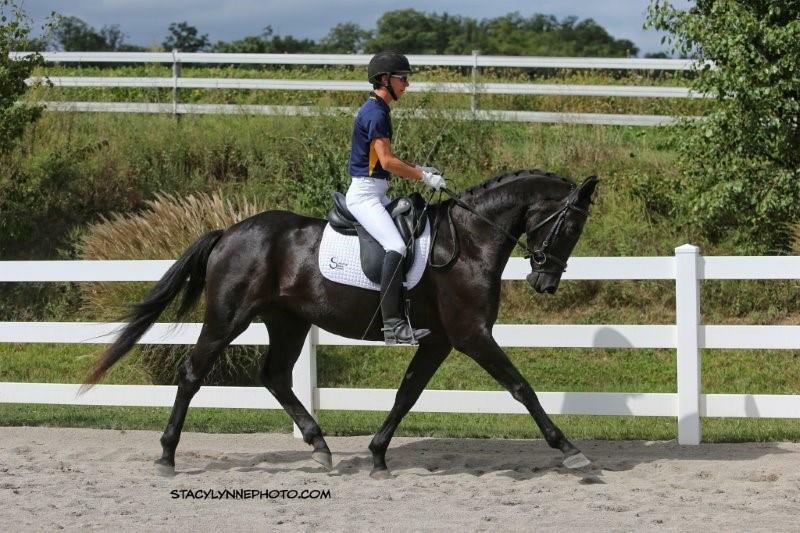 At Dressage at Devon 2014, Shtiletto placed 7th in the Three Year Old Fillies class with a 76.7%. 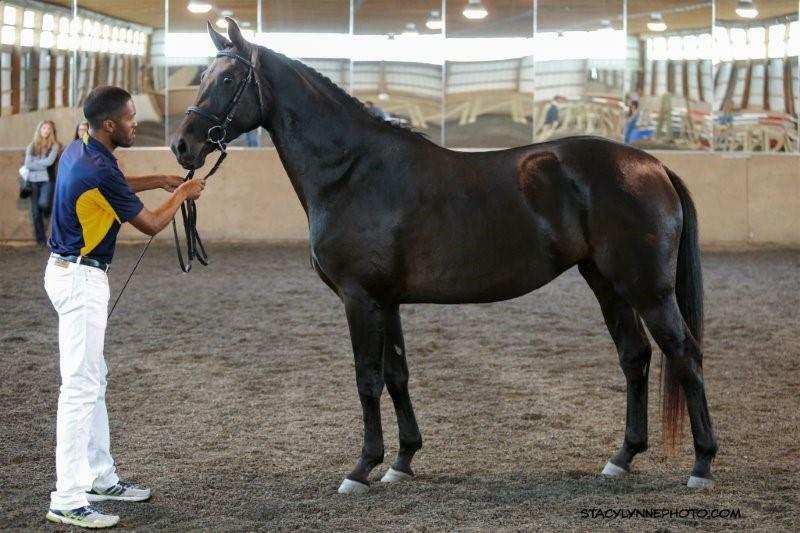 In the Materiale Class- three year old fillies Shtiletto placed 1st with an 80.0% She was also named Born in the USA Champion. 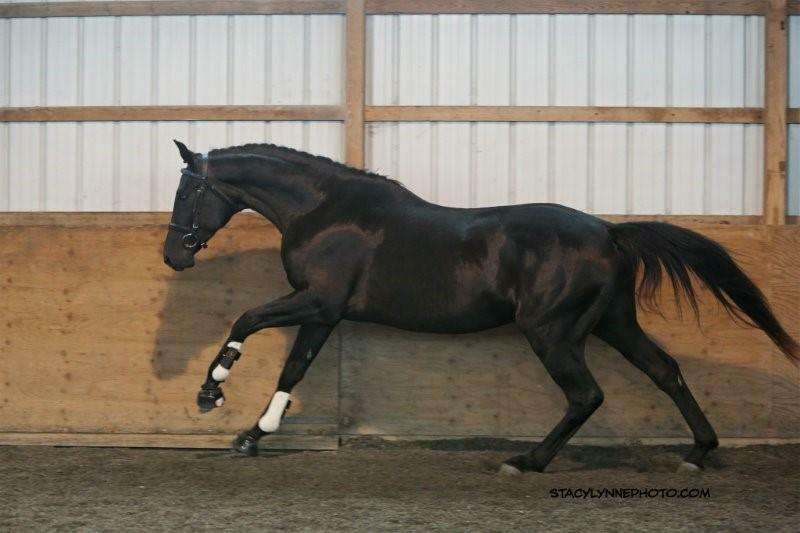 Shtiletto was then named Young Prospect Champion! This trophy is given in memory of Angela Barilar, and is a combination of the in hand and materiale results. 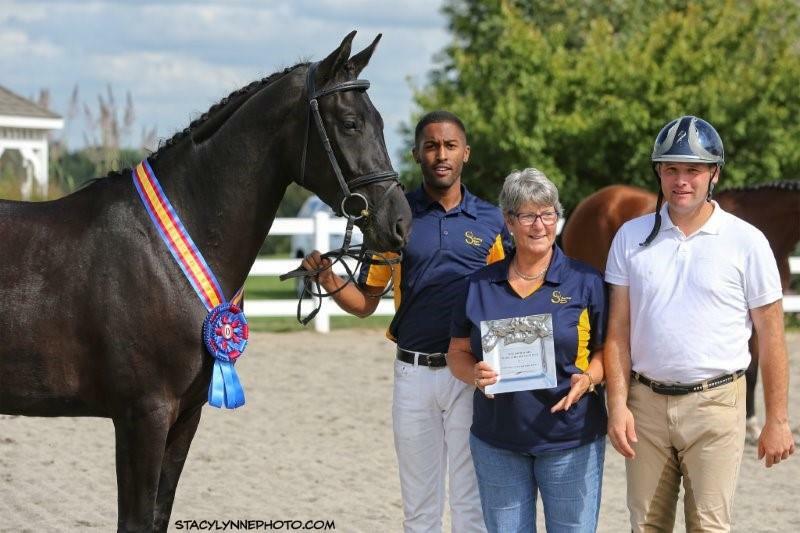 This is the second time one of my Rolling Stone Farm bred horses have won this title, and last year I had the reserve champion. 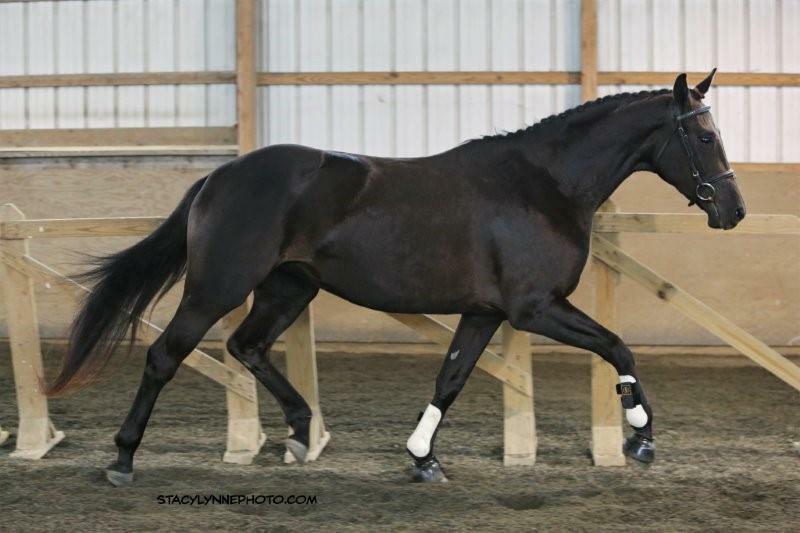 I am a very proud horse breeder!